Can You Stop Adderall Cravings Naturally? Adderall is a widely prescribed medication that has high potential for abuse. Suddenly quitting Adderall can lead to physical and psychological cravings that can feel unbearable at times. However, several techniques are helpful for coping with Adderall cravings. Adderall is a stimulant drug widely prescribed by doctors for attention deficit hyperactivity disorder (ADHD) and narcolepsy. However, Adderall has also become popular for its ability to increase alertness and, in large doses, induce a pleasant euphoria. Abruptly stopping Adderall can result in a number of difficult withdrawal symptoms and cravings. Cravings are a normal part of the recovery process and are nothing to feel ashamed or guilty about. In fact, cravings awareness is the first step toward learning new coping methods. Cravings are a strong desire to use the drug and can begin hours or days after stopping, depending on how much of the drug you used. Cravings often peak during the first week of abstinence and gradually decrease thereafter. However, former users may experience mild to moderate cravings for months or even years after stopping Adderall. Cravings can be either physical or psychological, and many users experience both. Physical cravings may result from the biological reaction that your body experiences without the drugs. For example, when an Adderall user stops using, the body begins experiencing fatigue and hunger. This physical reaction causes the body to crave the drug to take away the uncomfortable feelings. When Will I Stop Craving Adderall? Adderall cravings vary from person to person. The length of Adderall cravings will vary from person to person. And it will likely fluctuate over the course of weeks and months. Some people may experience cravings years after stopping Adderall. But these cravings will likely significantly decrease over the course of time. Set-up behaviors are the first part of the craving cycle. During this stage, the person’s way of thinking, feeling and behaving starts the process of craving. This can include focusing on the positive aspects of drug use, ignoring the negatives and not coping effectively with stress. Trigger events are the second stage. The person is triggered by behaviors and by situations. For example, during the set-up stage, the person may focus on how wonderful Adderall felt. During the trigger events stage the person then starts isolating from sober people and spends time with old using friends. The craving then intensifies. The craving cycle is the final stage, where obsessions about drugs begin to emerge. During this time, the thoughts about Adderall become obsessive and intrusive. The person has an overwhelming desire to use the drug. Physical cravings, such as increased heart rate, shortness of breath and feeling that one can taste or smell the drug, can occur. In some situations the craving cycle can lead to a relapse. However, it does not have to end in relapse. You can use coping skills to manage cravings at any point in the craving cycle. They can help you work through the craving without giving in to it. Though stimulant cravings are uncomfortable, they are not overtly dangerous and can be managed with the proper tools. Currently, the most widely researched and effective treatment for cravings is cognitive behavioral therapy (CBT). 2 Practice is essential to learning to cope with cravings. Several techniques in CBT are useful for managing cravings. Distraction is a way to divert attention away from the cravings by doing something physical or entertaining the mind. Distraction can include playing a sport, watching television or reading a book. Think of activities that you enjoy, perhaps before you started taking Adderall, and write them down. Keep the list handy in the event that a craving arises. Urge surfing is a form of mindfulness where the focus is on increasing awareness of urges, rather than resisting them. The more you fight the urges, the stronger they become. Learning to “ride them out” increases your sense of control over them. Identifying and avoiding triggers involves first listing the situations or feelings that lead to thoughts about using. Once your triggers are clearly identified, you can create a plan to avoid these situations. Seeking support from friends, family and others in recovery provides an opportunity to discuss cravings with people who can support you in staying sober. Recovery meetings, like Narcotics Anonymous and SMART Recovery, can be helpful. In addition to CBT, some therapists will use behavior therapy and rational emotive behavior therapy (REBT). 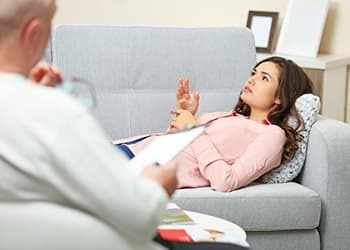 Behavior therapy can involve exposing you to the trigger in the presence of the therapist, or providing rewards for reaching goals. Researchers have found some medications to be helpful at relieving cravings for amphetamines like Adderall. Naltrexone has been found to reduce cravings and relapse among people dependent on amphetamines. 3 Though typically prescribed for opiate and alcohol dependence, it is also promising for people struggling with Adderall cravings. DISARM allows you to challenge the urges and thoughts that rationalize drug use. DISARM allows you to directly challenge the urges and thoughts that rationalize drug use. Must I give in to a craving? No, there is nothing that says that you have to give in to a craving. Will it be terrible if I don’t give in to the craving? It will likely be uncomfortable, but it will not be terrible. Think of times when you did not give in to a craving. Did the craving eventually pass or at least diminish? Is this craving impossible to overcome? Cravings are unpleasant, but they are not impossible to overcome. They will not cause any physical harm. Bring awareness to the urge. Analyze the thoughts associated with the craving. Challenge the thoughts that try to justify using. It is important to remember that cravings will come and go. No matter how uncomfortable you feel in the middle of the craving, it will not remain at a high intensity forever. Cravings for Adderall are a common experience during detox, as the body removes the drugs and attempts to rebalance. The risk of relapse is increased during this time due to the physical and the psychological symptoms that begin once the drug is stopped. Depressive symptoms can last for weeks after discontinuing, and they may present additional treatment challenges as well as necessitate extra precautions, especially if accompanied with suicidal thoughts. How Do I Quit Adderall Safely? Quitting Adderall on your own can be difficult. Fortunately, treatment programs can assist you in detoxing safely, learning new coping skills and helping you create a healthy life without Adderall. You can start by talking to your physician about your Adderall use. He/she can determine if you would benefit from a taper. Your doctor may also recommend additional treatment after your detox. Who Answers? to speak to a trained representative about rehab options and treatments for Adderall addiction or programs to help you stay sober. Exposing yourself to situations where drugs are present. Arguments with family, friends or coworkers. Focusing on the positives or “romanticizing” your drug use. Experiencing sudden loss of a loved one. Losing a job or a big opportunity. Feeling guilty about past drug use or actions. Feeling depressed, lonely or worthless. Feeling easily irritated or frustrated. Consider using the DISARM strategy mentioned above. Reach out to sober people for support. Avoid situations that may intensify your cravings. Why Do I Crave Alcohol or Cigarettes When I Take Adderall? Craving other drugs – such as alcohol and cigarettes (nicotine) – is common among Adderall users. The scientific reason for this phenomenon is unknown. But it may be related to Adderall’s effects on the brain. Research has found that cocaine craving activates the limbic system, the area of the brain responsible for emotions. 10 This may also be true for Adderall, since cocaine and Adderall are both amphetamines. As the limbic system is stimulated, the craving for alcohol and cigarettes may increase. Why Do I Crave Adderall After I’ve Stopped Using? Craving Adderall after you stop using is a normal experience. This occurs due to the body’s attempt to reestablish balance among the neurotransmitters in the brain – especially dopamine. Cravings will not last forever. They will likely peak in the days to weeks after stopping Adderall, and then gradually decrease. If you are struggling with Adderall cravings, you are not alone. Call 1-888-319-2606 Who Answers? to speak with a recovery support specialist now and receive the help you need.
. Marlatt, G. A., & George, W. H. (1984). Relapse prevention: Introduction and overview of the model. British Journal of Addiction, 79(3), 261-273.
. Carroll, K. (1998). A cognitive-behavioral approach: Treating cocaine addiction. Rockville, Maryland: U.S. Dept. of Health and Human Services, National Institutes of Health, National Institute on Drug Abuse.
. Jayaram-Lindström, N., Hammarberg, A., Beck, O., & Franck, J. (2008). Naltrexone for the treatment of amphetamine dependence: a randomized, placebo-controlled trial. The American Journal of Psychiatry, 165(11), 1442-1448.
. Newton, T. F., Roache, J. D., De La Garza, R., Fong, T., Wallace, C. L., Li, S. H., … & Kahn, R. (2006). Bupropion reduces methamphetamine-induced subjective effects and cue-induced craving. Neuropsychopharmacology, 31(7), 1537-1544.
. Chan-Ob, T., Kuntawongse, N., & Boonyanaruthee, V. (2001). Bupropion for amphetamine withdrawal syndrome. Journal of the Medical Association of Thailand, 84(12), 1763-1765.
. Hardin, R., Abbott, W., & Braastad, J. (2013). Smart Recovery handbook (3rd ed.). Mentor, Ohio: Alcohol & Drug Abuse Self-Help Network.
. Kosten, T. R., & O’Connor, P. G. (2003). Management of drug and alcohol withdrawal. New England Journal of Medicine, 348(18), 1786-1795.
. Gorski, T. T. (1996). Managing cocaine craving. Center City, MN: Hazelden Publishing.
. Johnston, L. D., O’Malley, P. M., Miech, R. A., Bachman, J. G., & Schulenberg, J. E. (2015). Monitoring the Future national survey results on drug use: 1975-2014: Overview, key findings on adolescent drug use. Ann Arbor: Institute for Social Research, The University of Michigan.
. Childress, A. R., Mozley, P. D., McElgin, W., Fitzgerald, J., Reivich, M., & O’Brien, C. P. (1999). Limbic activation during cue-induced cocaine craving. American Journal of Psychiatry, 156(1), 11-18.